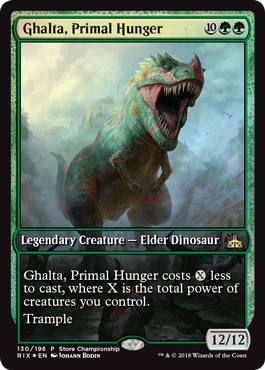 Ghalta probably isn't great competitively, but I think you can reliably get it to be something like a 4GG 12/12 trample, maybe. 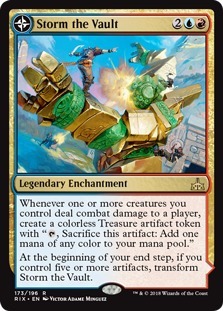 I feel like it's going to be like Metalwork Colossus, where you can curve out perfectly and wreck face one game and then the in the next you just have it clogging up your hand with no way to cast it. 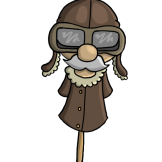 But hey, speaking of curving out perfectly, it'll probably never happen in a real game but it's fun to think about. 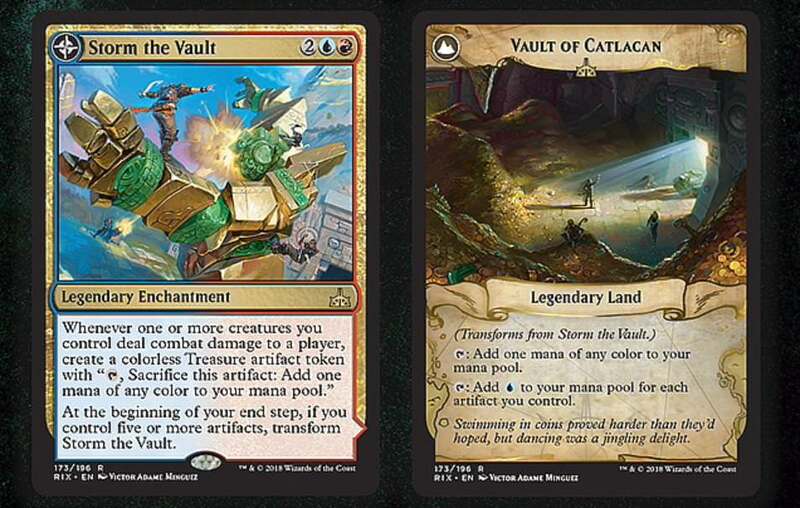 Turns 2, 3, and 4. 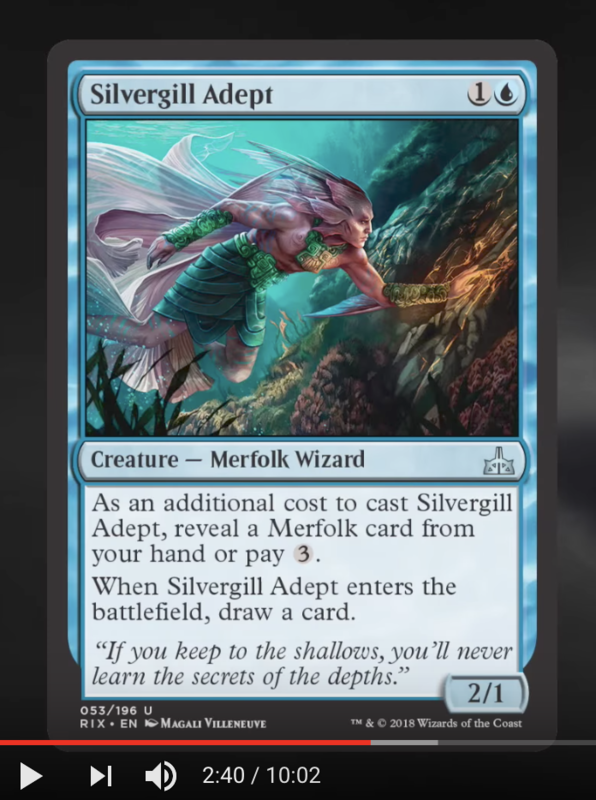 Turn 1: Toolcraft Exemplar, Turn 2: Servant of the Conduit, Turn 3: Cultivator's Caravan, pass to 2nd main phase, tap Caravan to float <G>, crew caravan with exemplar (now a 3/2), tap Servant for <G>, 10 power on board, <G><G> floating, cast Ghalta. 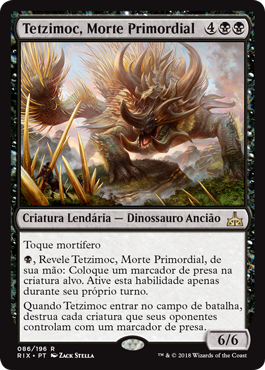 Or, go with the Nayasaurs deck: Turn 1: Kinjalli's Caller, Turn 2: Otepec Huntmaster, Turn 3: Regiasaur Alpha. 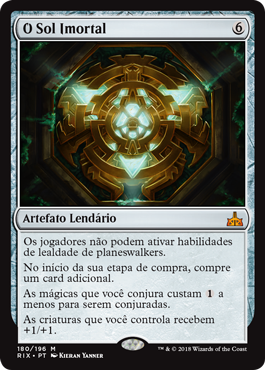 9 power on board, 2 cost reduction. 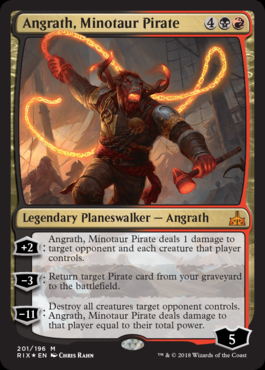 T4: Ghalta, with haste! 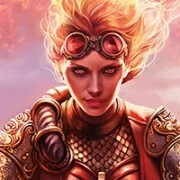 Players can't activate Loyalty abilities of Planeswalkers. B, Reveal ~ from your hand: Put a Prey counter on target creature. Only activate this ability during your turn. 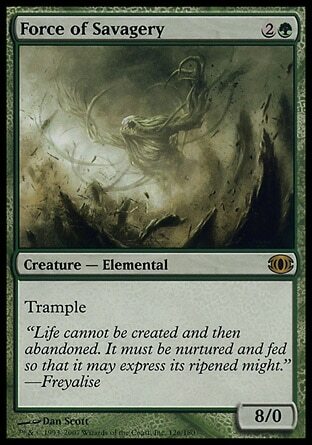 When ~ enters the battlefield destroy all creatures with a Prey counter on it your opponents control. 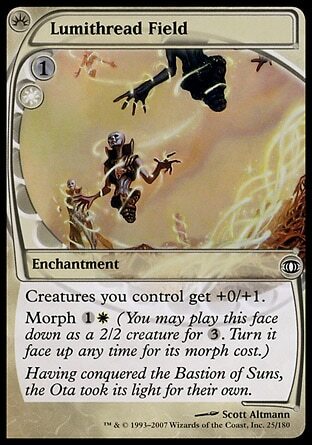 6 mana is a tad expensive for shutting down planewalkers, but the Sun has an impressive set of extra effects. 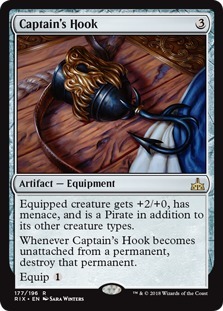 If a deck appears that can ramp it out a couple of turns early, it could be a big hit in Standard. 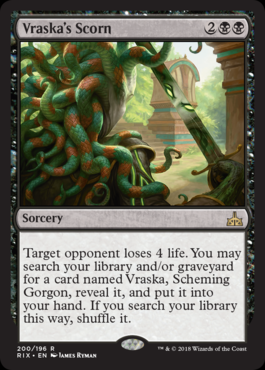 Once Kaladesh rotates out obviously, it doesn't really stop Energy decks pounding your face with enormous Longtusk Cubs and Bristling Hydras. 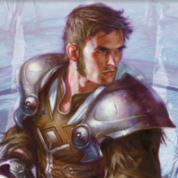 Come on Wizards, I dare you to ban Attune with Aether! Some pirate love, kinda. At -3 not exactly a lot of pirate love but it's a little. 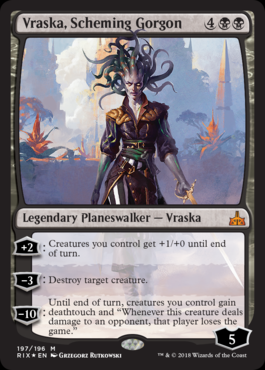 With Doubling Season it's insta-win on turn 6, because Vraska will enter the battlefield with 10 counters. 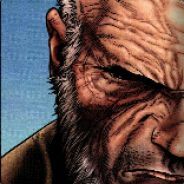 So, we have a new ability. "Ascend." 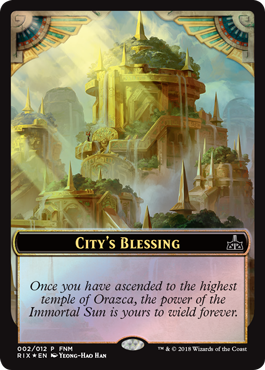 I'm not sure if they are going to be different requirements to unlock "City's Blessing" or if it's going to require 10 permanents with every card. 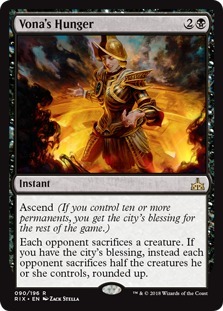 The Ascend ability is going to be stupid in EDH. 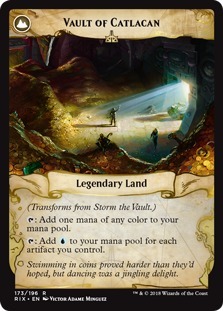 Storm the Vault just became an auto-include in most Breya Decks. Not exact spoilers, but these photos from the art book confirm the 5 colour Elder Dinos + 3 headed elder, Azor creating the immortal sun and being the sphinx art spoiled earlier, and Kumena and Elena cards (maybe?). 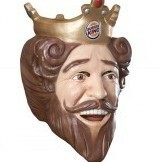 Man, those art books look amazing, but I don't feel like shelling out $30-$40 for them.